Order Imigran Nasal Spray online from The Independent Pharmacy for fast & effective treatment of migraine, especially in situations where tablets may not be suitable. When used, and combined with painkillers or anti-sickness medicines, Imigran Nasal Spray can help you to quickly and effectively treat migraines and the associated symptoms. Imigran Nasal Spray provides effective relief from the symptoms of a migraine. It contains the active ingredient sumatriptan, which is one of the several types of 'triptan' medicine, and the most widely used. 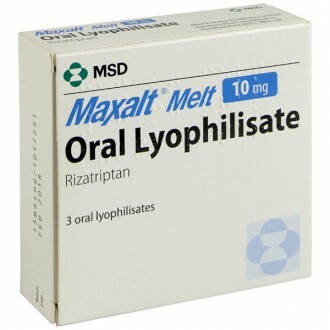 It is a popular alternative to other triptans for those who cannot swallow tablets or otherwise prefer not to do so. 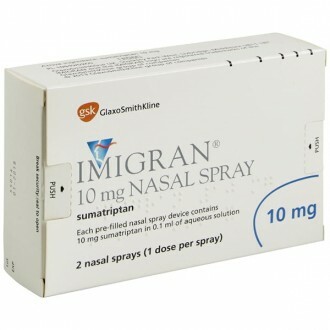 Imigran Nasal Spray comes as single use sprays in strengths of 10mg or 20mg. It is not fully understood what causes the onset of a migraine. However, the throbbing pain experienced is thought to occur due to a widening (dilation) of the blood vessels in the brain. Sumatriptan is a serotonin agonist. Serotonin agonists mimic the activity of serotonin by stimulating specific receptors in the brain. This causes the affected blood vessels to narrow, which eases the throbbing and relieves the associated pain. 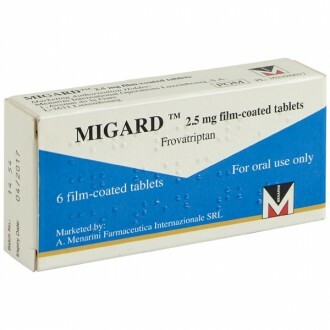 Imigran Nasal Spray is most effective when used at the start of a migraine attack. However, this treatment will still provide a level of relief if taken later on during an episode. It is applied to one nostril, and should take effect in about 30 minutes. 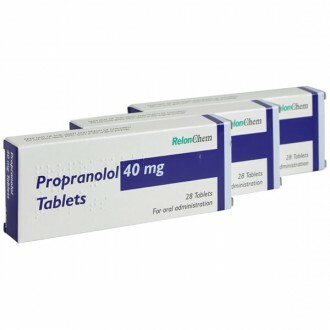 Triptans medicines do not prevent migraines from occurring, but they are safe to take alongside preventative medicines, such as propranolol. In The UK, migraines are a common complaint. This severe form of headache affects approximately 25% of women and around 8% of men. Migraines can be triggered by various factors, though genetics is believed to play a role. This means you are more likely to develop migraines if someone in your close family also suffers from the condition. Migraine attacks can be debilitating, a severe episode can completely disrupt your day, causing nausea, along with an intense throbbing pain. Many people also experience a heightened intolerance to noise, light, and smells. Imigran nasal spray will help provide relief from these symptoms as well. Around one in every four people who suffer from migraine experience a preceding warning sign, known as an aura. An aura could be in the form of a visual cue, such as distorted or blurred vision. If the aura is experienced and a migraine doesn't follow, this is referred to as a silent migraine. Migraine attacks generally last for a few hours, but can continue for as long as three days. After a severe migraine has subsided, the sufferer can remain feeling fatigued for several subsequent days. For some women, migraine attacks can be triggered by their monthly cycle. Fast delivery - order before 4pm and receive your treatment as soon as the next day. Free online consultation service with one of our GMC registered doctors. Discreet and confidential service - we don't include any branding or pharmacy logo on our packaging, meaning you can get your treatment delivered discreetly. UK based and GMC registered Doctors. Only proven prescription medication available. Imigran Nasal Spray is most effective if taken at the start of a migraine attack, but will also provide relief if taken later on during the episode. Spray 10-20mg into one nostril. If the medicine is ineffective, wait at least two hours before taking the second dose. Imigran Nasal Sprays come in individual blister packs. Do not open a blister until you are ready to use the spray. Blow your nose before use if it feels blocked. Hold the spray with your index and middle fingers each side on the nozzle and your thumb resting on the blue plunger. Insert the nozzle into one nostril (about 1cm or 1/2 inch in) and block the other using a finger by pressing firmly on the side of your nose. Start to breathe in gently through your nose and out through your mouth. As you breath in, press the blue plunger firmly with your thumb, keep breathing in whilst it is spraying. Remove the spray and unblock your other nostril. Keep breathing in gently through your nose and out through your mouth for 10 seconds. Your nose may feel wet and you may detect a slight taste after using the spray - this is normal. Pressure or tightness in the chest or throat, tingling sensations, irritation of the nose or throat, nosebleed, nausea, fatigue, dizziness, hot flushes, aches, shortness of breath. The active ingredient contained in Imigran Nasal Spray is sumatriptan. Potassium dihydrogen phosphate, dibasic sodium phosphate anhydrous, sulphuric acid, sodium hydroxide, purified water. The exact causes of a migraine attack are not fully understood. However, the throbbing pain is believed to occur due to the dilation of the brain's blood vessels. 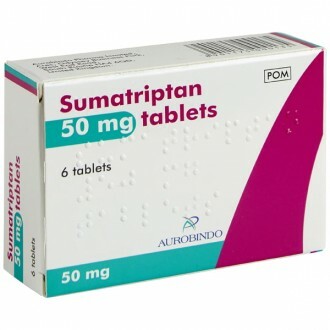 Sumatriptan, like other triptans, is a serotonin agonist, which means it stimulates the brain's serotonin receptors. This stimulation has the effect of causing the affected blood vessels to narrow, which in turn relieves the associated pain. How do I take Imigran Nasal Spray? Sumatriptan is most effective if taken at the onset of a migraine attack. This treatment will still provide some level of relief if taken after an episode has begun. Spray 10-20mg into one nostril. If the medicine is ineffective, wait at least two hours before taking the second dose. Is it safe to use other Migraine treatments alongside Sumatriptan? It is safe to use painkillers, such as paracetamol and ibuprofen, or anti- nausea medicines, such as Prochlorperazine Buccal Tablets. 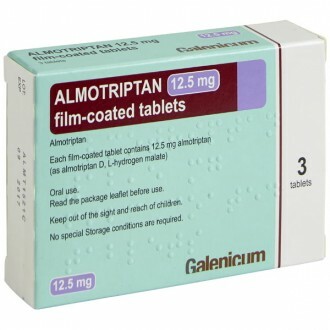 However, it is important not to use two or more triptan medicines together, such as sumatriptan and almotriptan. 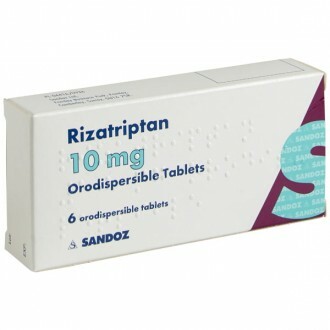 All triptans act in the same way, so taking two or more simultaneously will not provide any additional benefit. Instead, you may exceed the recommended dosage and put yourself at risk of experiencing adverse side-effects. How many pack of Imigran Nasal Spray can I buy in one purchase? Imigran Nasal Spray is a prescription-only-medicine (POM). For that reason, and to ensure patient safety, we only supply a maximum of 3 packs of treatment (6 nasal sprays) at one time. This allows us to strike a balance between offering our patients an adequate supply of medication, whilst providing regular checks on their condition, symptoms, and the effectiveness of their treatment. This model ensures the perfect mix of convenience and patient safety. If you suffer no adverse side-effects, and if your migraines are well controlled with your chosen treatment, you can log in and re -order another supply with ease. Is Sumatriptan affected by alcohol, antibiotics or the contraceptive pill? None of the above should have any effect on Sumatriptan. However, alcohol can make a migraine attack worse, so you may want to avoid it. Although Sumatriptan is not affected by the contraceptive pill, migraines can be linked to hormonal changes during your period. Is Imigran Nasal Spray avaliable for next-day delivery? Yes – we understand that sometimes you will want your treatment as soon as possible. If ordered before 4pm Monday to Friday, Imigran Nasal Spray can be delivered the next day. Is it safe to buy Imigran Nasal Spray online? Yes – as long as you are buying from a reputable website that is a legally operating and fully regulated. The Independent Pharmacy is an NHS Online Pharmacy based in Bristol and has all the necessary regulation to be able to safely provide convenient access to genuine prescription treatments through our Online Doctor. All of our migraine treatments are supplied by the same UK-based wholesalers used by the large high-street chains such as Boots and Lloyds. How do I buy Imigran Nasal Spray online? You will need to fill in a simple health questionnaire so that our GPs and Pharmacists can ensure it is safe for us to supply your Imigran Nasal Spray to you. It only takes a few minutes, and your treatment can be delivered to your door as soon as the next working day. What are the advantages of buying Imigran Nasal Spray online? A wealth of information - we provide all the information you could need on Sumatriptan and other migraine treatments, in easy to digest formats, at a time that suits you. Does Imigran Nasal Spray help to prevent Migraines? 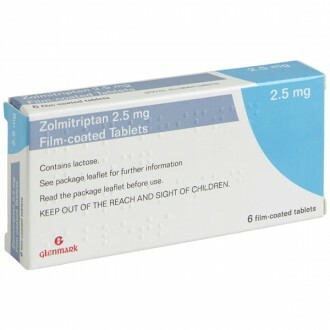 Sumatriptan is used to treat acute migraine attacks. It works by reversing the dilation of the blood vessels in the brain that causes migraines. For this reason, they should only be used to treat existing, or oncoming migraines; and not be used to prevent them. Imigran Nasal Spray is not effective at preventing migraines that have yet to occur. 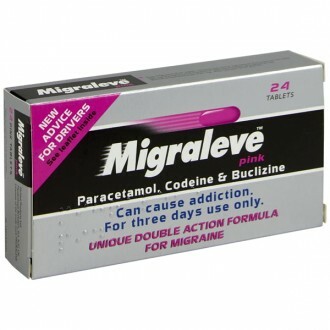 They may even contribute to making your migraine worse, due to overuse if used as a preventative treatment. Although it helps to relieve the pain associated with migraines, Sumatriptan is not strictly a painkiller. All triptan medicines are serotonin agonists. The pain relief they provide is a secondary effect of their mechanism-of-action. 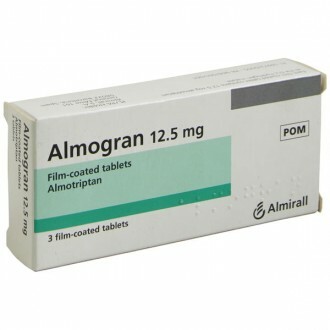 Imigran nasal spray can be used alongside painkillers, such as paracetamol or ibuprofen. This is a safe and effective option should additional pain relief be required, whilst the nasal spray is taking effect. Will Imigran Nasal Spray definitely cure my Migraines? Sumatriptan is an extremely effective migraine treatment for many people suffering from mild to severe symptoms. Some people may find that Imigran Nasal Spray is only mildly effective, or even ineffective. There is nothing to worry about if this is the case. Sumatriptan is not effective for everyone. If you have tried it several times without getting the desired results, you can try a different migraine treatment instead. Triptan migraine treatments all have the same mechanism-of-action. However, different people respond differently to each one. If one treatment, such as Imigran Nasal Spray, does not have the required effect, it is worth trying a different treatment, to see whether it works better for you. I normally get Imigran Nasal Spray from my doctor - why should I buy it online? Imigran Nasal Spray is available on the NHS from your GP if you have been diagnosed with migraines. This is normally where we suggest people start their treatment, to ensure that their condition is properly diagnosed and any possible serious symptoms are addressed. Here at The Independent Pharmacy, we take the headache out of getting your migraine treatment.